My lovely pal Beauty Vixen was kind enough to share some Deciem products with me just before the Christmas Holidays – because I’m spoiled like that! 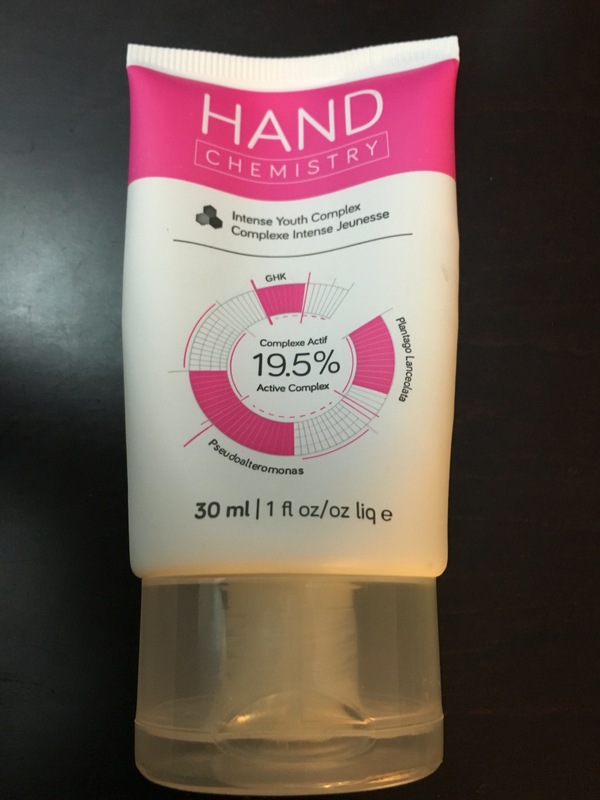 The one I want to write about now is the Hand Chemistry Intense Youth Complex hand cream – because I am really hating my hands and nails these days. I seriously think I have super old looking and ugly hand, so anything that might help … I am game for trying! Concentrated multi- functional hand cream targets 8 signs of hand aging simultaneously. The extraordinary 19.5% active complex concentration visibly improves firmness, elasticity, density, evenness, brightness, texture, smoothness and hydration. Apply evenly to clean hands morning and evening. Expect visible results in 11 days. Intended for use on hands and forearms only. This is a really nice hand cream! Not as moisturizing as I would have liked for the cold winter so for nighttime I need something thicker/richer – but for the days and most likely in the summer this is all I will need. The scent of the cream reminds me of a childhood candy – I’m thinking pink pez – which is awesome minus that fact that I end up sniffing my hands all day. I’m not sure about noticeable difference in firmness but I can say that I see better evenness, brightness, smoothness and hydration! Especially smoothness – I have smooth soft hands now! If you have hand insecurities and/or hand envy this product it worth check out! 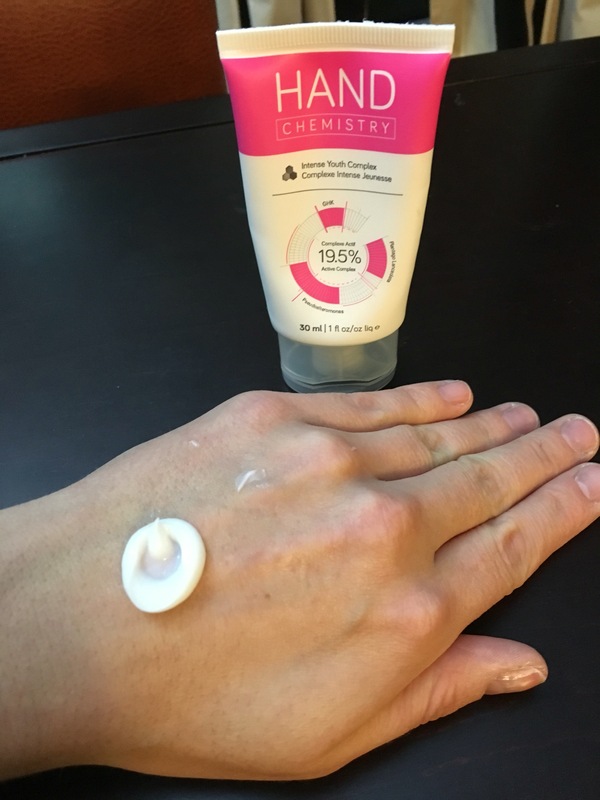 This entry was posted in Beauty and tagged bream, hand, lotion, moisturizer by maldham. Bookmark the permalink.